The wind stalled for breath. Leaves rustled in my head. Eternity paid a brief visit. 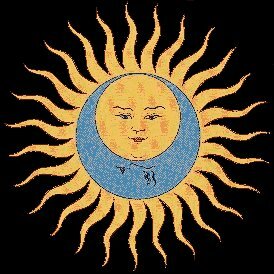 The sun-and-moon logo is by Tantra Designs from the cover of "Larks' Tongues In Aspic" by King Crimson, 1973.